Auli is one of the popular ski destinations in India. It is located at an elevation of 2,500 meters (8,200 ft) to 3,050 meters (10,010 ft) above sea level. Auli can be reached by road or ropeway from Joshimath. The region was once the base of paramilitary soldiers and when judged by foreign experts, it proved to be among the best ski destinations in the world. Auli is surrounded by vast area of oak and coniferous forests. Skiing right through these snow covered forests feels highly thrilling. Here the Government maintains various provisions to make skiing possible for everyone-both for the novice and professionals. 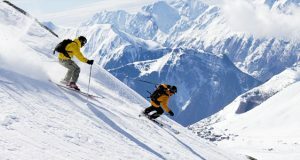 Owing to this, one can find a lot of skiing agencies as they will step out for skiing. Rudranath (2286 mtrs) is by far the toughest and most exciting trek out of the Panchkedar. 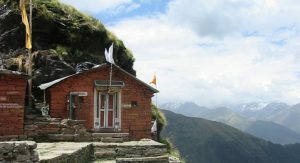 It is one of the Panchakedar consisting of kedarnath , Tunganath,Madmaheswar ,Kalpeswar and Rudranath.It is a 22 Km long and hard trek which is completed in two days but the young can complete it in one day.It is accessible from March to September. 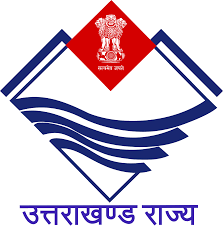 Rudranath is located on Gopeshwar-Kedarnath Road. From Rishikesh, the entry point of trek is at Sagar is 219 km. In the route trek there are many beautiful spots like luithi bugyal, Panar bugyal, Pitradhar, Narad kund, Sharswati Kund etc.